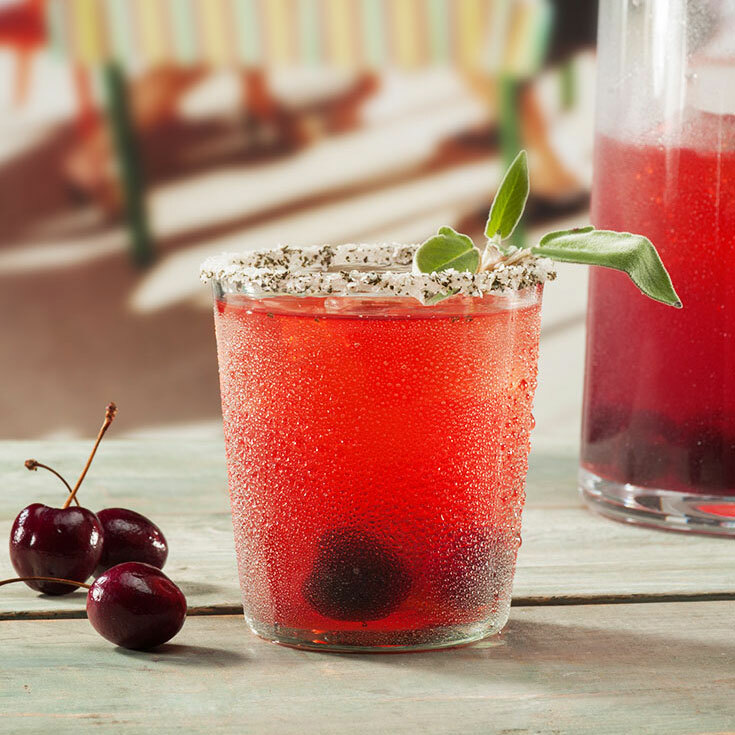 Combine Sauza® Signature Blue Silver, simple syrup, lime juice, and pitted cherries into a shaker. Muddle ingredients and add ice. Stir, and strain into a glass over ice. Garnish with sage and serve.